KitchenAid Professional 5qt Stand Mixer Just $199! Was $429 PLUS FREE Shipping! 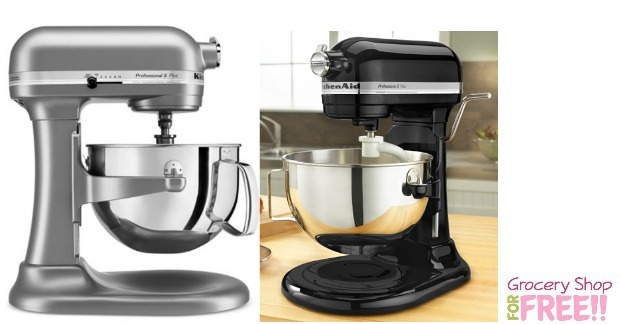 You are here: Home / Great Deals / KitchenAid Professional 5qt Stand Mixer Just $199! Was $429 PLUS FREE Shipping! Right now you can get this KitchenAid Professional 5qt Stand Mixer for just $199 down from $429! PLUS FREE shipping! Timeless style that packs a professional-quality punch. KitchenAid’s iconic stand mixer has a cool industrial design that powers through even the thickest mixtures. Extremely versatile, fit it with optional attachments to turn your mixer into a food grinder, shredder, juicer, pasta roller and more! 1-year hassle-free replacement warranty.